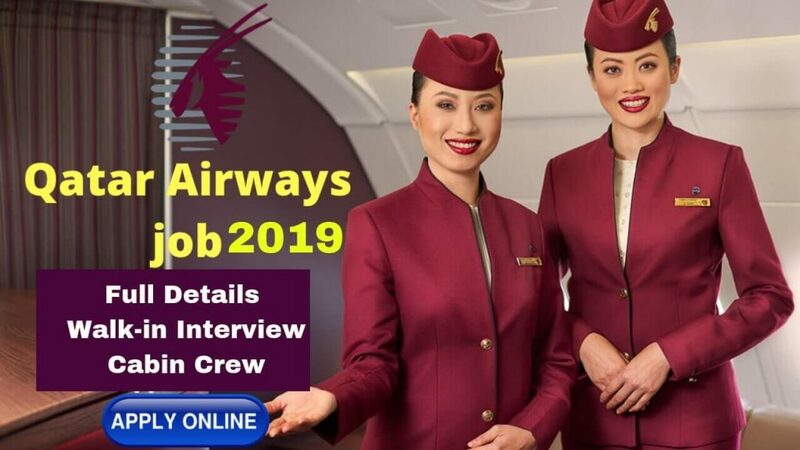 Qatar Airlines – do you want to become a cabin crew or flight attendant in Qatar Airlines? if yes then this article for you only. Just you need to read this article till the end to apply online correctly. So, friends in today’s article I am gonna write on the topic of Qatar Airlines Hiring Cabin Crew in Bangkok, Colombo, and South Korea. As the national airline of Qatar state, we want to reflect Qatar’s best and generous hospitality. Dinner in Paris, lunch in New York, breakfast in Montreal, while some of the world’s most modern planes are hovering over 40,000 feet worldwide, of course, you do not have a specific office job. Qatar Airways is actually known for being the world class, 5-star global airline, challenging criteria and the leader in airline hospitality. Join Qatar Airline cabin crew team and enjoy the tax-free remuneration package, allowances, including accommodation, and transportation for duty. Applicant age should be minimum of 21 years. Height Requirement – At least arm reach of 212 cms on tip toes. You should have excellent health and fitness. You should wiling relocate to Doha, Qatar. Ability to work with a multinational team with extroverted personality and good interpersonal skills. Venue – GOLDEN TULIP SOVEREIGN HOTEL – 92 Soi Saengcham – Rama 9 Road – Huay Kwang 10320, Bangkok. Venue – JETWING COLOMBO SEVEN HOTEL – 57, Ward Place, Colombo 7, Sri Lanka. Dress Code – Requested to all the applicant who is interested to attend this interview, they should come with formal business attire. One Copy passport size photograph was taken in the same dress code mentioned above. One copy of the full-length photograph taken in the same dress code mentioned above. Copy of your highest education certificate. Check out here for — qatar airways interview process and stages. To Prepared for this interview check here for interview questions.